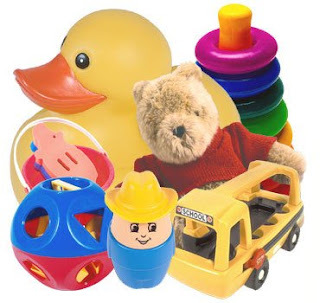 If you have some extra games or toys or puzzles that your kids no longer want (or that you don't want them to have...), consider bringing them to 80th Street and Ridge Boulevard for the Bay Ridge Toy Swap on Saturday from 10 AM to 2 PM. Oh! And it's a CHILD FREE event...adults only. Non-walkers are welcome strapped onto their parent, but otherwise, keep the kids at home. Besides, you don't want them seeing their goodies go, do you? FREE HOLIDAY TOY SWAP IN BAY RIDGE Go Holiday Shopping for the kids in your life for FREE! If you're like me, you're dreading holiday shopping this year because of our country's (and perhaps your own) economic situation. Furthermore, if (like me) you have a child who is still young enough to not really know the difference between a brand-new toy and a gently-used one, you want to maximize this time and SAVE MONEY on holiday toy shopping. My kid doesn't really need new toys, he just needs different ones. And God knows, I have tons of toys he no longer plays with. So, let's swap! * We'll be assigning a "coupon" or ticket value to the stuff you bring so the more you bring the more "currency" you have to shop with. Just to reiterate - NO KIDS INVITED - they'll just go nuts and ruin our free shopping fun. Serious, grown-up, shopper/donaters welcome.